Note to self: Never wear clip on bangs when it's windy out. They will be blown all over the place. Sometimes I have to leave the comfort of my home office to have a meeting where I still need to be office and business appropriate. I had a business meeting where I grabbed this adorable polka dot Foxcroft button up shirt, threw on my spring jacket, and a pair of slacks. Even when I have physical meetings, I still want my style to shine through, but in a way that is appropriate to the setting. 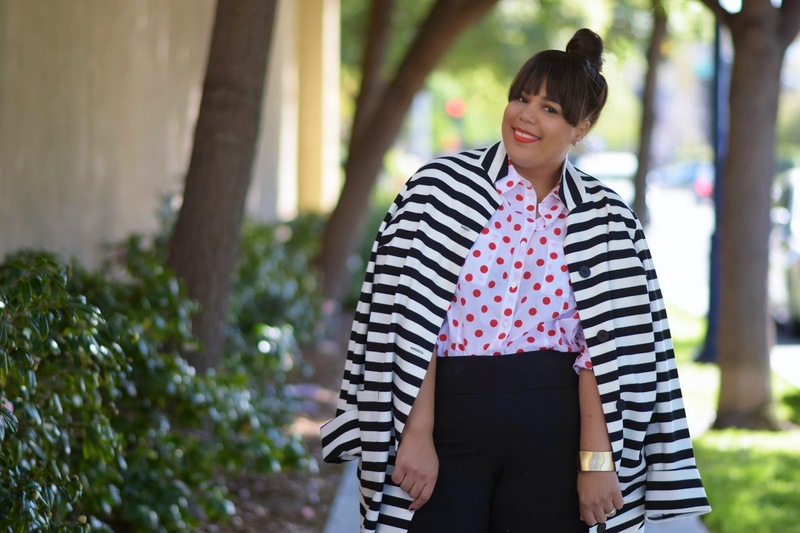 Crisp button-up blouses have always been a staple in my wardrobe, and always will. Now on to the fun part, Foxcroft is sponsoring a $150 gift card giveaway. You can enter via my Instagram (will be posted in the morning). Style Notes: When interviewing, have a meeting or needing to look business appropriate, I always recommend going simple and dressing up your look a fun print and accessories. 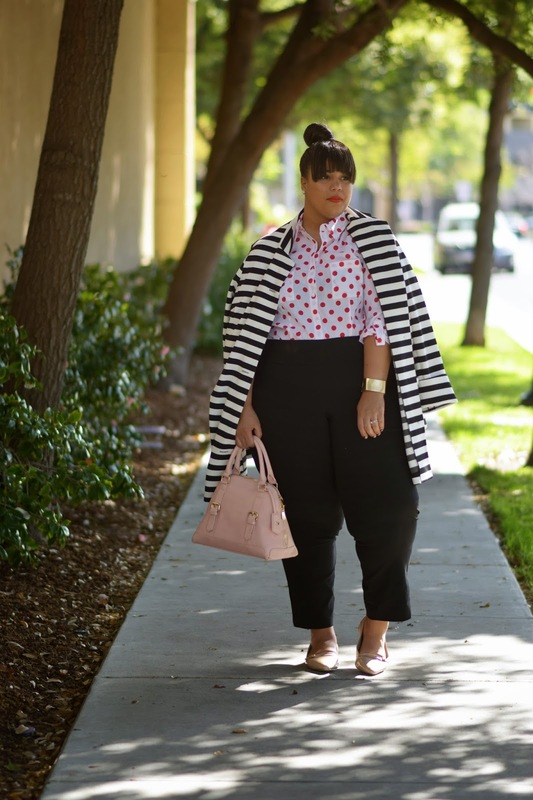 This button up blouse goes great with these pants but could also be fabulous under a black sleeveless dress. Adding a button-shirt, such as this Foxcroft blouse, under sleeveless items can be a solution to those who aren't comfortable with bearing their arms. In addition, I'll add what I like to call a smart bag, some with structure and clean lines. This post is a part of a series of posts sponsored by Foxcroft.